Another year of professional American Football is finally nearing its debut and football fans are anxiously waiting. Not only does August mark the beginning of pre-season for the NFL, but also marks the annual release of the long-running franchise called Madden. Although Madden has been released every year since the 90s, the upcoming Madden 11 might be cause for celebration. 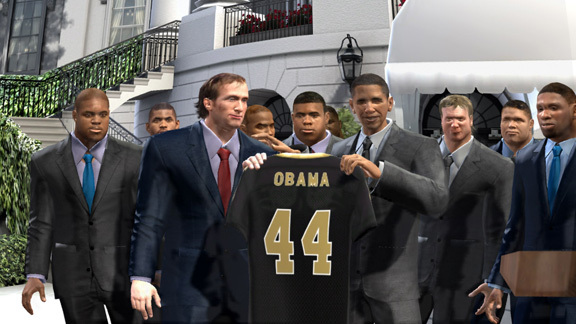 A latest video over at IGN shows the new Super Bowl celebrations in Madden NFL 11. Celebrations are much lengthier than ever seen before and feature a trophy presentation, much more dynamic commentating and even a meeting at the White House with President Obama himself. Madden NFL 11 is scheduled for release on August 10th for North America and August 13th for Europe.